Team Vitality came into the 2018 season with four players lifted wholesale from another roster. Despite a promising performance in the challenger series, these four ex-Giants were going to be playing on the big stage under a new banner. In the last two weeks, they’ve proven they can more than handle the spotlight. 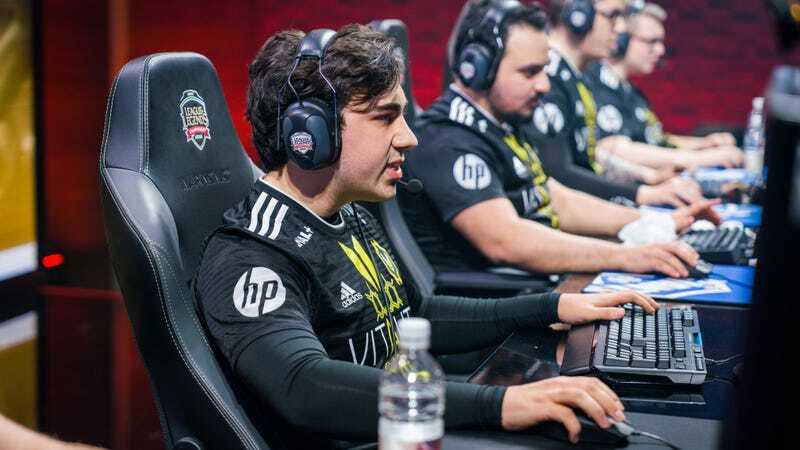 The rookies of Vitality are comprised of Erberk “Gilius” Demir, Daniele “Jiizuke” di Mauro, Amadeu “Minitroupax” Carvalho, and Jakub “Jactroll” Skurzyński. Bolstered by Lucas “Cabochard” Simon-Meslet, an almost two-year veteran of Vitality and the European League Championship Series, it was a roster of fresh faces for the main league. I have built a roster with a very clear common denominator, hunger and motivation that have not been seen before on this scene. I am certain we will grow at a rapid rate, faster than any other team in the EULCS. In Western esports, comfort breeds weakness and the work ethic of a team defines it’s success, so I am very excited about the mix of leaders and rookies we have going into 2018. With the new Vitality, the goal seemed to be a cohesive, effective unit. And it’s working. In a matter of two weeks, Vitality have established themselves as a force atop the European standings. Jiizuké in particular has stood out as another potential European middle lane powerhouse in the making with clean and effective plays on Ryze. In week 1, he rotated to kill other lanes twice before hitting level six, exhibiting early aggression and confidence on the blue mage. Just watching him obliterate Fnatic’s support from the map is proof enough that he feels at home in his role as a core damage-dealer for the team. The entire team plays cleanly together as well. In a listen-in segment from their match against H2K, you can hear their clear call-outs and distinct voices as they turn a fight back around. They’re hardly yelling over each other at all. Vitality ends its week 2 matches today against Misfits, where they look to defend their undefeated streak and come out at 4-0 atop the standings.